Welcome to the first chapter of Nick’s picks! 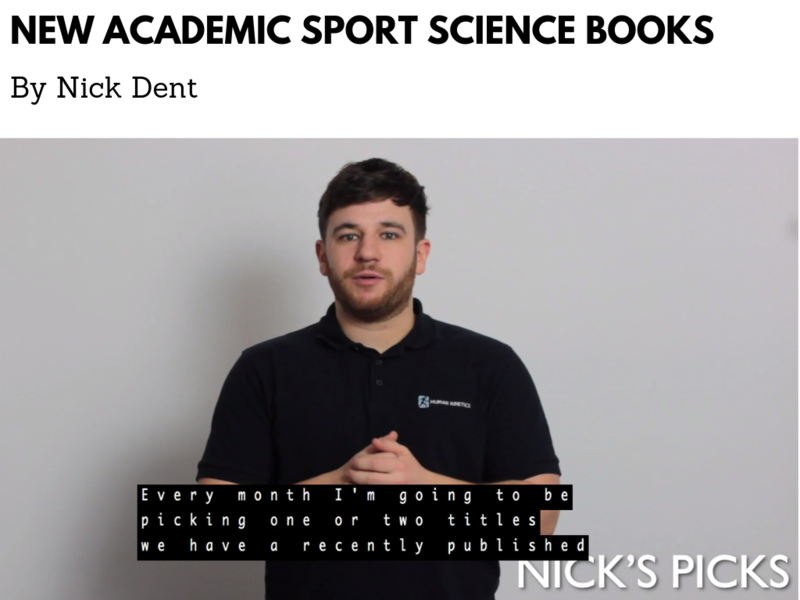 Nick is the European Sales Manager and every so often he will be releasing a video of the best new academic sports science books. In this video, Nick talks about Foundations of Sport and Exercise Psychology, 7th Edition and Science and Application of High-Intensity Interval Training. If you are a University or College lecturer you may order a desk copy for either of these books. Desk copies are provided free of charge to qualified faculty who are considering the text as a Required Course Text. Hi everyone I’m Nick I’m the European Sales Manager here at Human Kinetics. I’m going to kick things off with the leading title in its field, Foundations of Sport & Exercise Psychology 7th edition. Back in a revised 7th edition, offering a comprehensive view of sports psychology this book is essential for undergraduates and lecturers. I’ll cover some of the changes and additions to the new edition. The new first chapter focuses on what sports psychology is, what sport psychology consultants do within sport and a general history of the field. The second chapter now focuses on the development of knowledge in sports psychology and how this can be applied. New content and updates within chapters include areas such as grit, mindfulness, organisational sports psychology, technology and sport psychology, sexual harassment and rational emotive behaviour therapy. There is now a whole new chapter on diversity and inclusion within sport, which I’msure everyone could agree is very relevant in today’s society. Every chapter has been updated to include the latest research and references have been updated to more contemporary sources. The next book we’re going to look at is Science and Application of High-Intensity Interval Training. As the name suggests the book is split into two parts the first part is theory the second part is applying it to different sports including football, rugby union, rugby sevens, running, combat sports and more. This book is a comprehensive guide on HIIT training. It is in full-colour and explains how to incorporate HIIT into your training plans safely and effectively. This book is perfect for S&C coaches looking for a high level textbook on hit the covers a range of sports. It’s also ideal for lecturers who are looking to incorporate HIIT into their courses. The book covers the history of HIIT, the physiological impact of HIIT, the different components of developing HIIT sessions, the benefits and impact of including HIIT in concurrent training programmes and how it can help general health and fitness. Thanks for watching guys until next time I’ve been Nick, those have been my picks. If you want to request a desk copy you can email me directly nickd@hkeurope.com or head to the website where we’ve got online form. Thanks for watching. We have produced 100’s of academic textbooks covering a variety of subjects find out what our most popular and best-selling books are in the list The 10 most valuable academic sport science books.